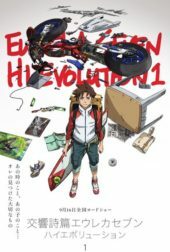 Eureka Seven Hi-Evolution Film 1 has a lot going for it with us finally getting the prologue to it all: the events of "The Summer of Love". And while this segment is done very well, the rest of the film, with its lack of coherent storytelling hurts what could have been something special. 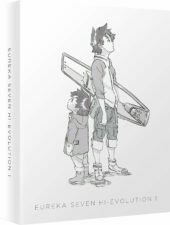 It has such a magical soundtrack that tells the story better than what you see, and leaves you wishing that perhaps they could have made the prologue the entire film, or at least an OVA, and left the content from the TV series alone. During the MCM Comic-con Event back on the 25th - 27th of May, Anime Limited brought over their Anime Guest of Honour, Shouji Gatou to talk about and promote Full Metal Panic! Invisible Victory - the latest series in the franchise after 13 years. 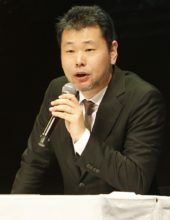 Shouji Gatou is known for writing the original novels for Full Metal Panic!, Amagi Brilliant Park, and for working on the screenplay for Hyouka, amongst others. We get the chance to sit down and have a chat with Gatou-san around his works. Join us at 3pm on Sunday as we take a deep dive into the Spring 2018 anime season! Better hurry up and get your chief director credit, because it's time for the AUKN Scotland Loves Anime 2017 podcast! 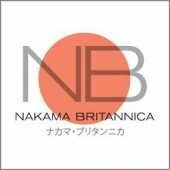 Nakama Britannica is back again (kept you waiting, huh?) – this time with an installment from the past. Kick off your shoes, it’s time to talk Makoto Shinkai! Podcast IX: “Does Anime Reflect Japanese Culture?” With Jonathan Clements! Podcast Goes Fourth…with Helen McCarthy! This time, on our wonderful and bodacious podcast, we’re joined by two special guests for a discussion on the the thorny subject of whether anime is getting worse. Anime-on-Demand announce Persona 4 for streaming.